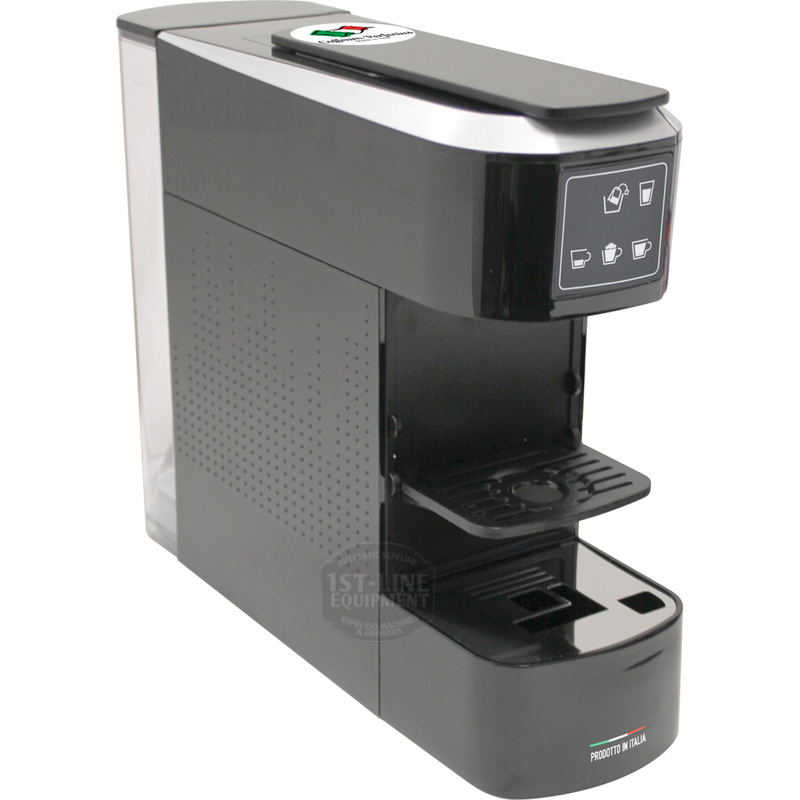 The Caffeum Perfectus slimNESs Espresso Machine. Perfect for any home or small office use. Uses Nespresso espresso capsules only. 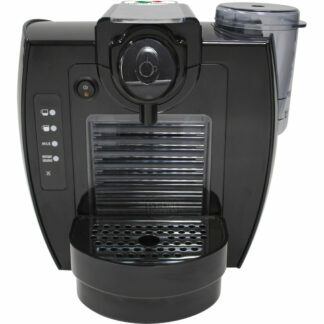 Also has milk frothing & tea infusion capability. Easy discarding: The front drip tray slides out from the unit. Behind the tray is the container where the spent capsules drop after use. Holds about 14 capsules max. Simple controls: Five simple buttons for different beverage options including small or large coffee, tea, cappuccino, or hot milk. Each button is programmable with easy instructions in the manual. Tea infusion: The small clear container is for infusing tea. Insert a tea bag into the container and press the tea button. Milk frothing: Replace the tea container with the large round container. Pour water into the container and press the milk button. 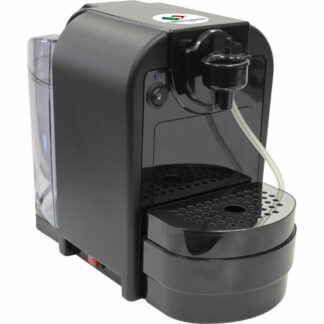 Hot water: You can get regular hot water by pressing any coffee switch without a capsule. Energy saving: Built-in function to turn off the machine after 15 minutes of inactivity. Slim design: At only 4″ wide, this unit can easily sit on your countertop without taking up valuable space. Also at 10.5″ in height (17.5″ with top lever open), cabinets won’t be an issue. Drip tray: Large capacity. Holds more than an espresso cup. Water tank / reservoir: Large opening for easy refilling. Also removable from the machine if you need to clean it. Cup clearance: Can accommodate any size cup up to 5″ in height. There is a small tray that folds down for small espresso cups up to 3.25″ in height. Water softener: Attaches inside the water tank. Helps prevent limescale buildup in your Caffeum Perfectus slimNESs.